KOREA VENDING MACHINES SUPPLIERS, which offers may include; Candy, Gumball, Snack, Soda, Drinks, Food, Deli vending machines and repair services & more! Please contact the vending machine company suppliers direct for more information about their vending products, vending machines or services. Daeseung Intercom co., ltd – Photo Vending Machines, Seoul, South Korea. Jsbs Vending –We are professional Snack and beverage Combo vending machine manufacturer in China. Good quality and stability working performance attracts many professional distributors around the world. Our Combo vendor is the second brand in Australian market. Other distributors are in Canada, Mexico, Colombia, Holland, Spain, Turkey, South Africa, Malaysia, Singapore, Korea. Ricco Toys has invented capsule toy dispenser, using our own technologies. 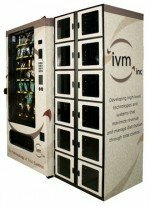 Combining high quality licensed collectible capsules toy with the impressionable capsule toy system helps the vending operator to secure new location possibilities while rejuvenation old ones. Seoul, South Korea. Shinsung Ele., Co. Ltd – Office coffee and tea vending machines. Seoul, South Korea.